ATSB pilot information card to help flight crew identify factors that could increase the risk of a misaligned take-off or landing. where pilots have misperceived their lateral position on runway due to darkness and a combination of individual influences, runway, weather and task conditions. The study was iniated following several occurrences that involved aircraft commencing takeoff on the runway edge lighting. All five recent Australian misaligned take-off and landing occurrences involved aircraft with weights greater than 5,700kg and three of the six occurrences involved scheduled regular passenger transport operations. The remaining two occurrences involved charter operations. 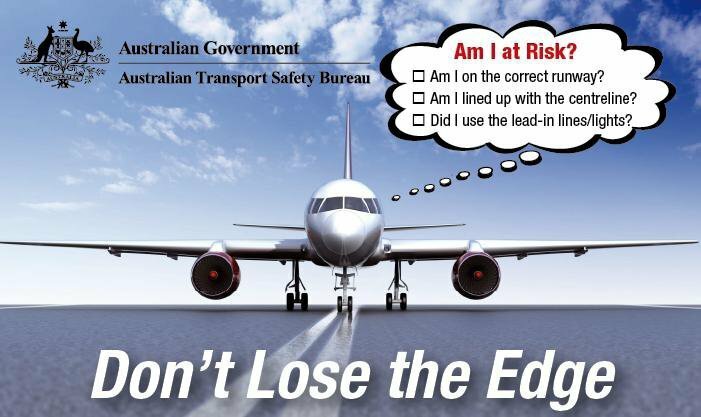 To foster safety awareness, knowledge and action, the ATSB developed a pilot information card to help flight crew identify factors that could increase the risk of a misaligned take-off or landing.